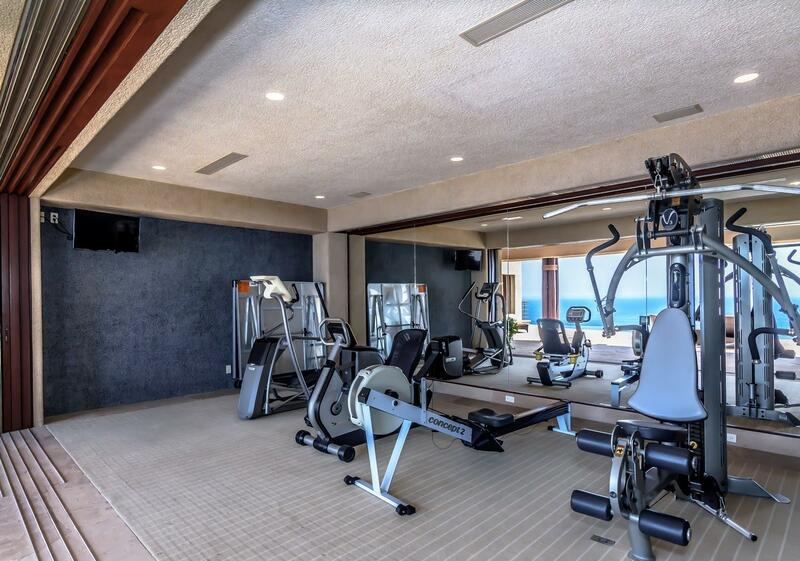 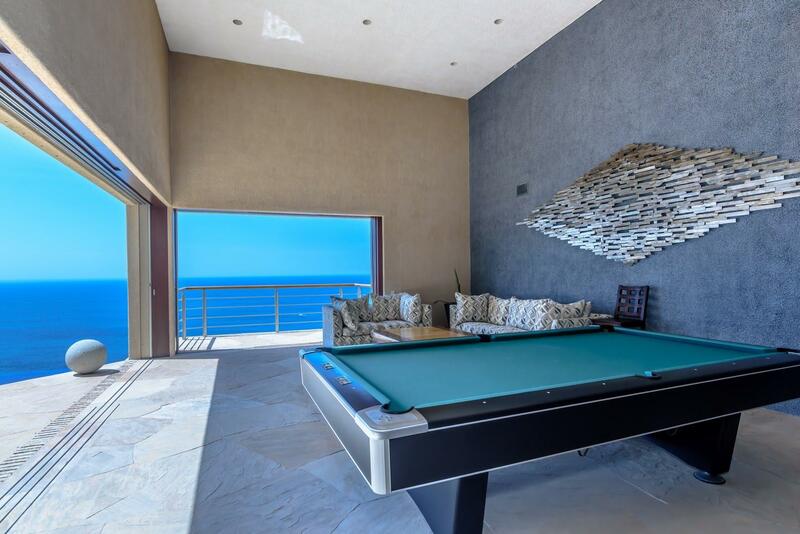 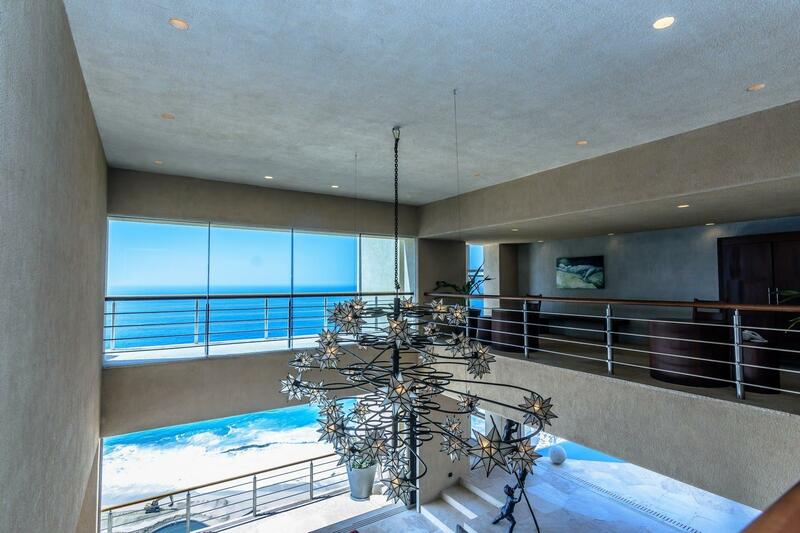 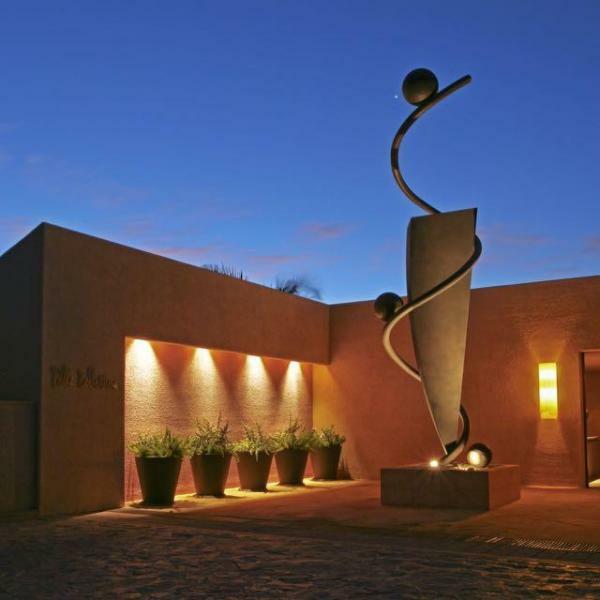 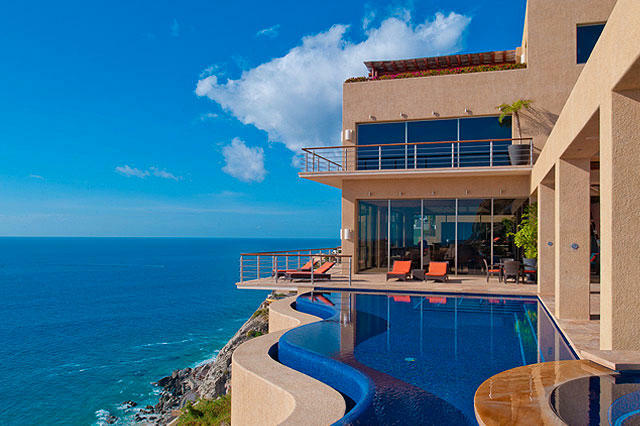 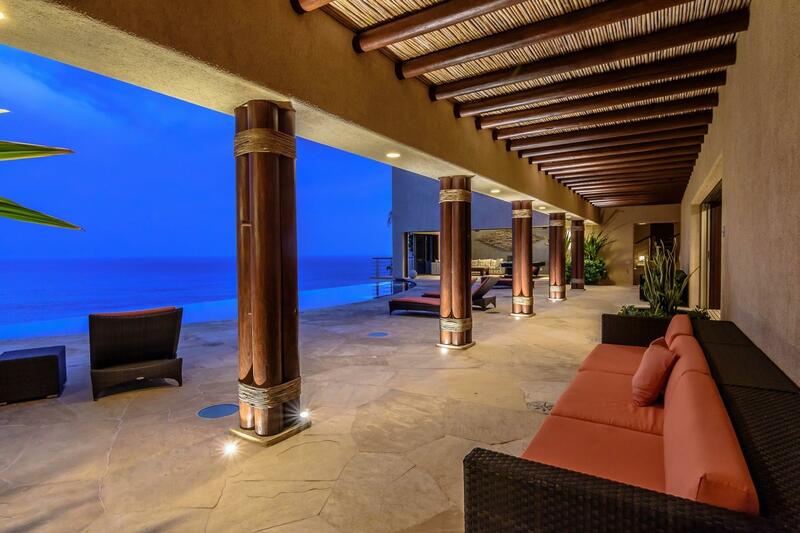 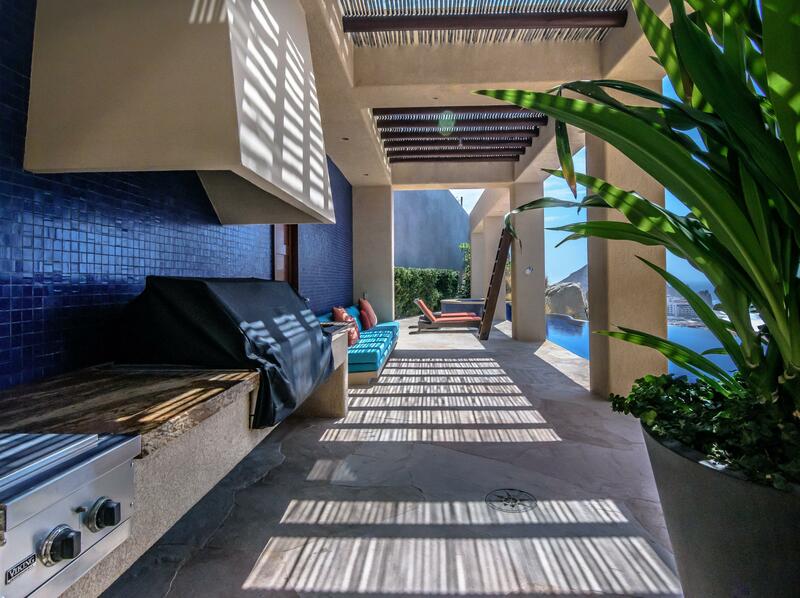 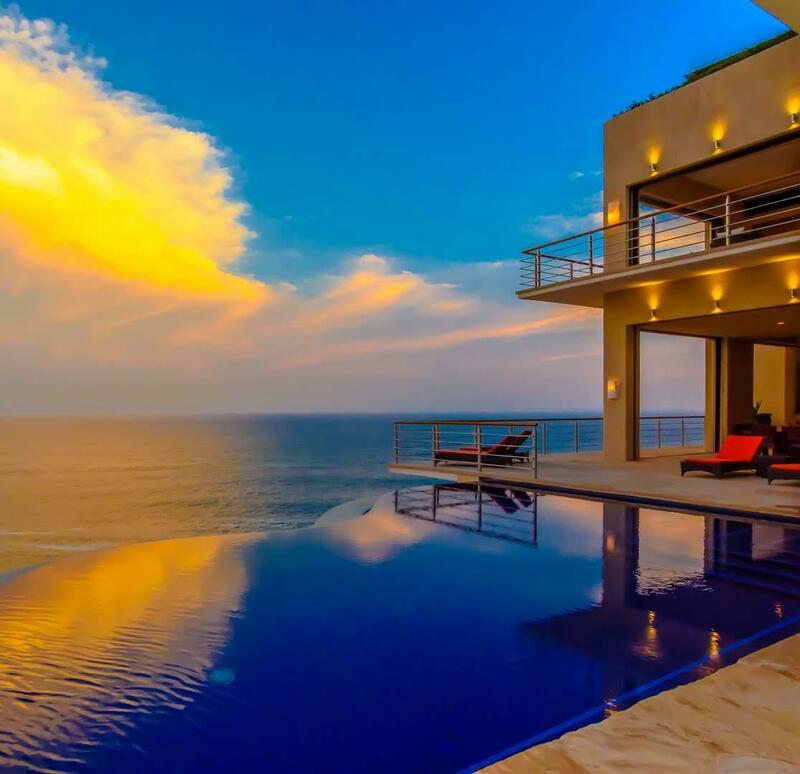 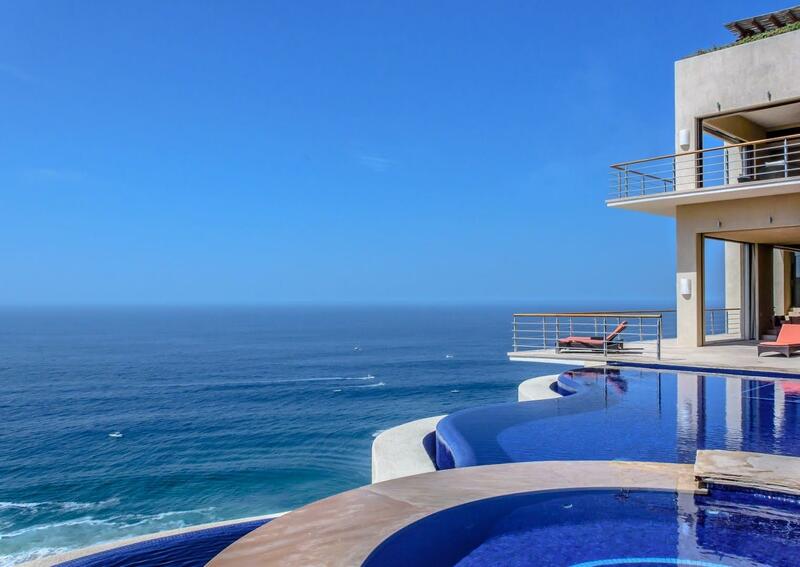 Breathtaking Impressive Views on Cabo’s Pacific Ocean – One of the most exclusive properties built in Cabo San Lucas. 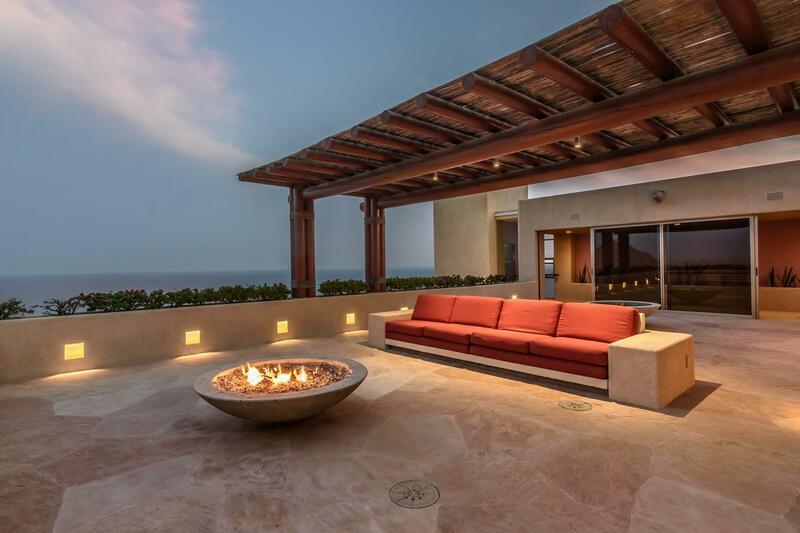 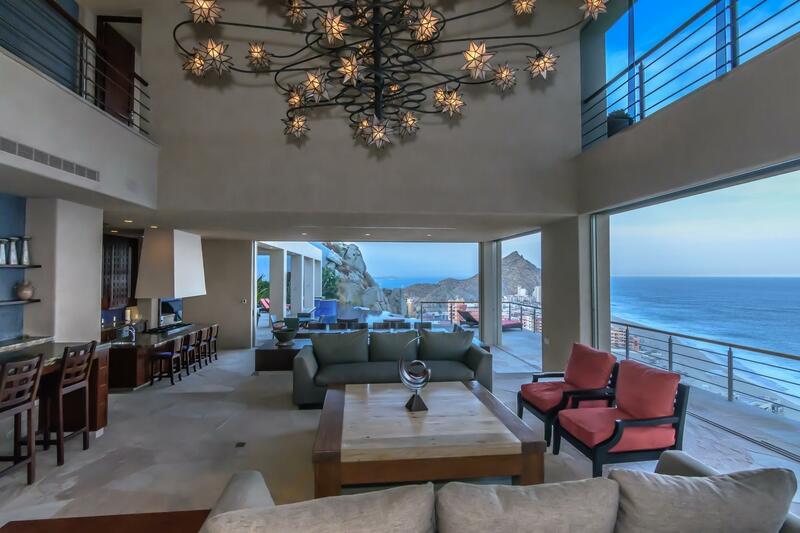 This exceptional spacious home is located high on a cliff overlooking the famous Lands End in the private development of Pedregal. 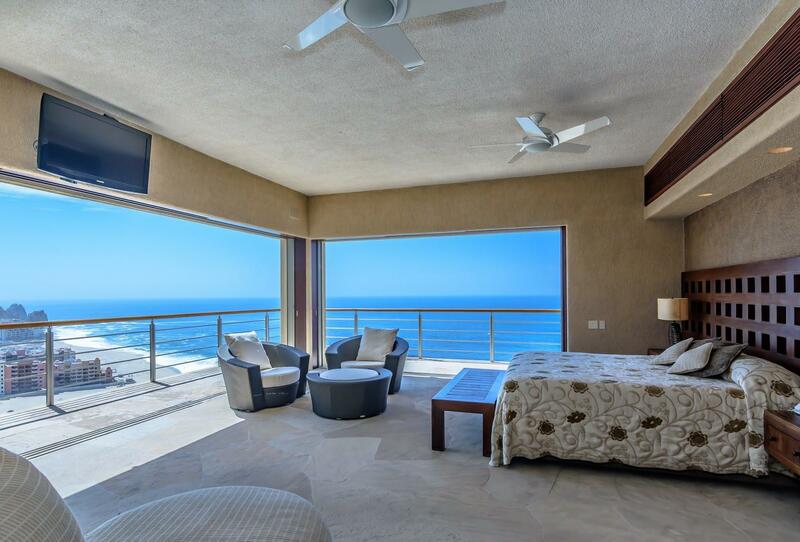 Eight beautiful bedrooms with eleven bathrooms, two swimming pools and lots of outdoor living space. 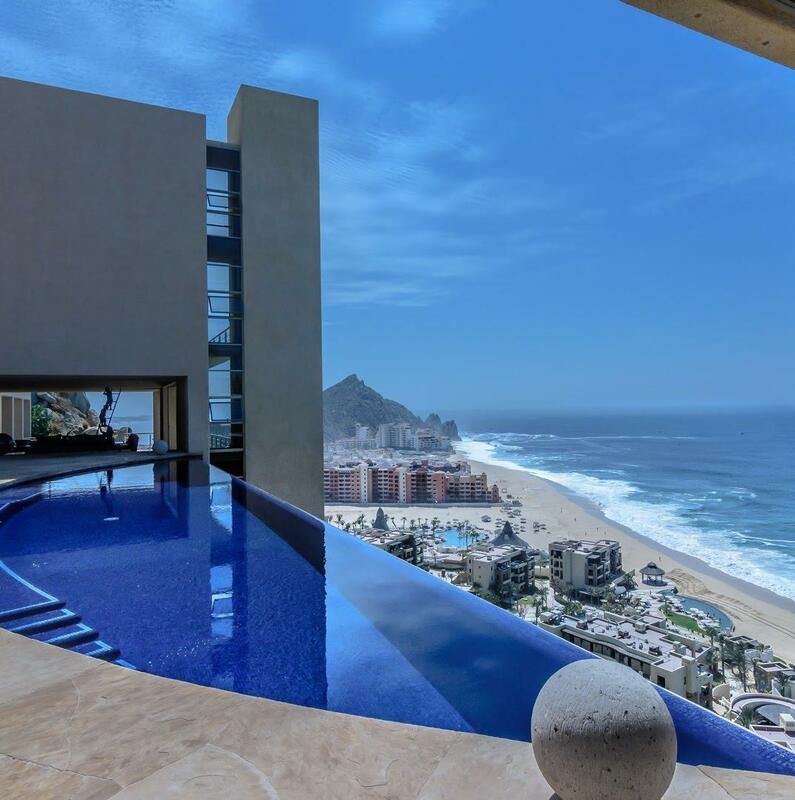 A glass elevator takes you up to the spectacular main floor with two impressive swimming pools with endless views of the ocean. 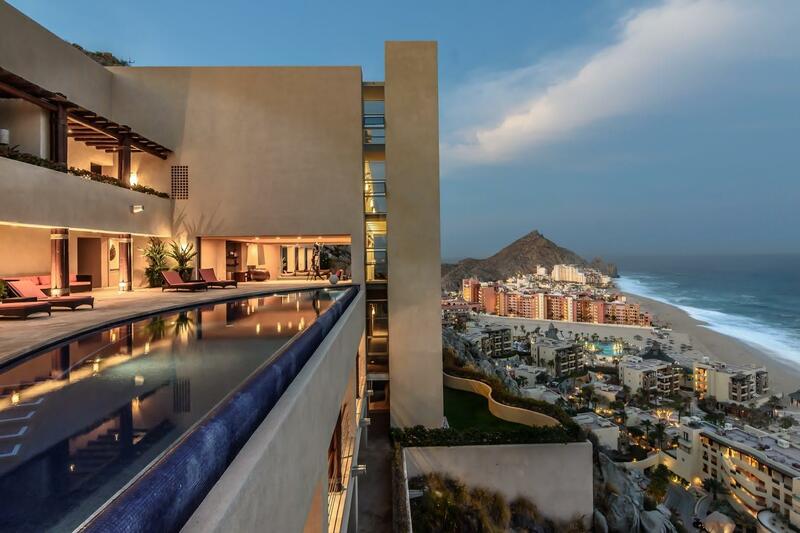 The two kitchens are located on the main floor one of which the staff can cater dinner for several hundred people while the guests are outside on the beautiful terraces relaxing poolside or looking at he ocean and enjoying the fresh ocean air. 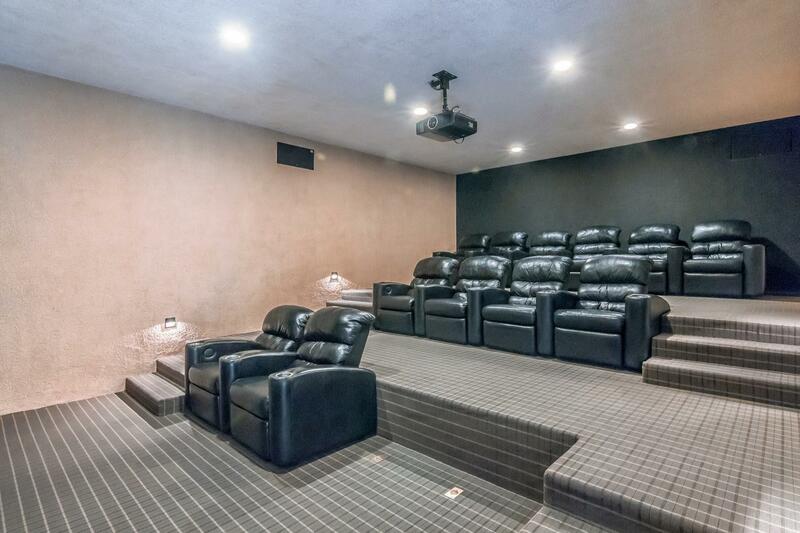 A six car garage leaves lots of room for cars and ATVs. 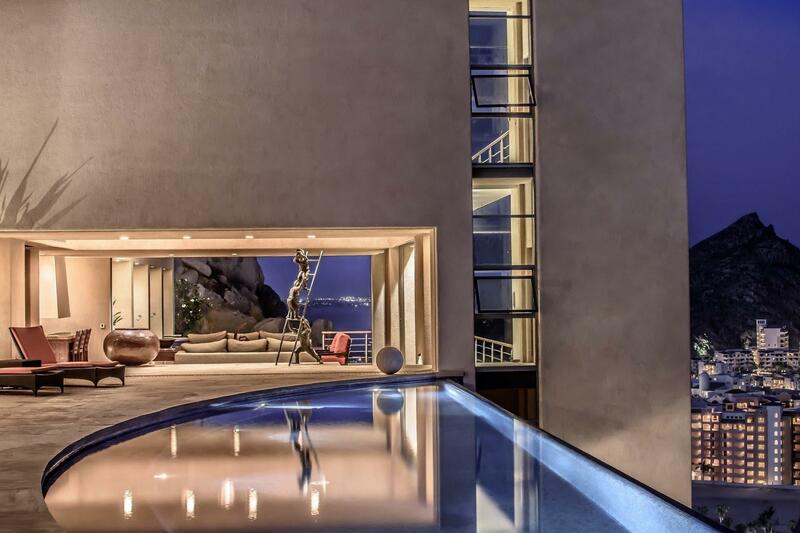 A rare find in CSL.